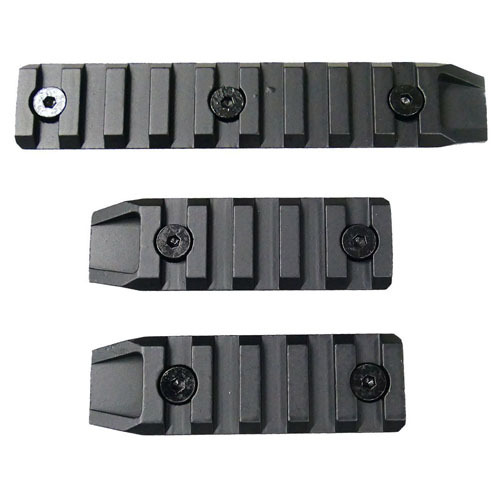 The ASG KeyMod Rail Set are easily mounted to any Keymod front. They are easy to install, requiring only a hex key. Hex screws are included for easy installation.